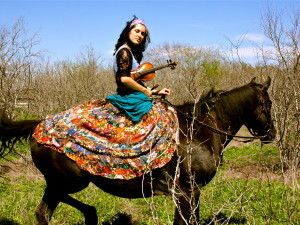 A passionate performer on violin and voice, Michelle Alany is a dynamic performer and songwriter at home in any genre. She is a successful touring musician and in-demand recording artist. When not on the road or in the studio, she plays in many contexts, including blues and rock clubs, house concerts, concert halls, theaters, film festivals, outdoor festivals and weddings. She is skilled at stepping into any band by ear or with a chart, and giving them that special sound with an elegant and powerful edge. 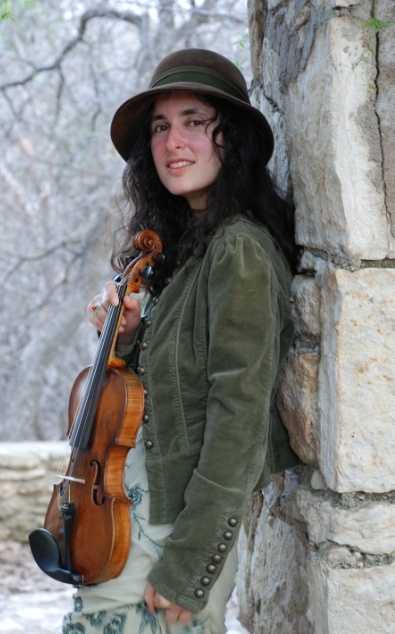 Her own band Michelle Alany and Nefesh Joy Orchestra includes violin, vocals, accordion, cello, guitar, bass, percussion, and sometimes a trumpet or clarinet. They move deftly from Bulgarian classics to Texas Swing, with an emphasis on driving-danceable rhythms and soulful improvisation with Mediterranean themes.